Currently their names are Quackers, Betsy, Beaker, Tina and Tiny. They are shy (scared of our chickens even though they are much bigger). 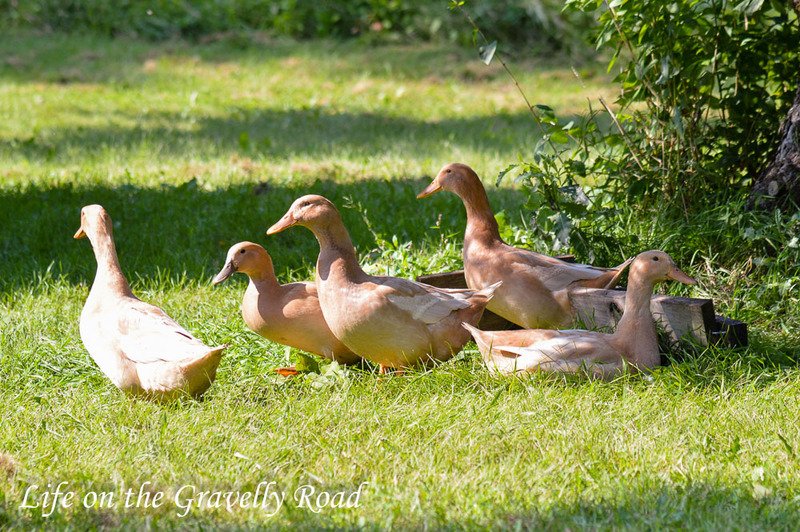 The ducks travel together all over the yard, almost wing to wing, unless they are splashing in the kiddie pool we got for them. Hilarious to watch.